Contains premium organic, wild-crafted proprietary blend of: Lemon, Orange, Grapefruit, Tangerine, Bergamot, Spearmint, Lemongrass, Rosemary, Neroli, Vanilla essential oils. Blended to stimulate the creative portions of the brain. 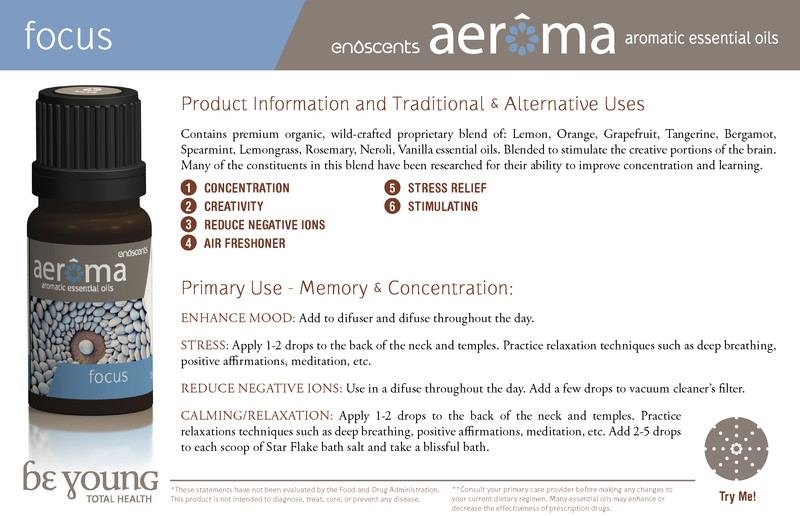 Many of the constituents in this blend have been researched for their ability to improve concentration and learning.